Join our bible study group that gladly accepts God's invitation to reason with Him and study His Word diligently! Tired of sticking to blind faith? Are your questions always met with abstract answers? Do your reasoning powers feel stifled? What do the Scriptures say? 'Come now, and let us reason together, saith the LORD' (Isaiah 1:18). 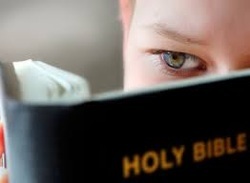 The Bible is possibly the only religious book in the world that openly invites its reader to reasoning! A method of silent prayer that prepares us to receive the gift of contemplative prayer, prayer in which we experience the Divine’s immanent presence with us.